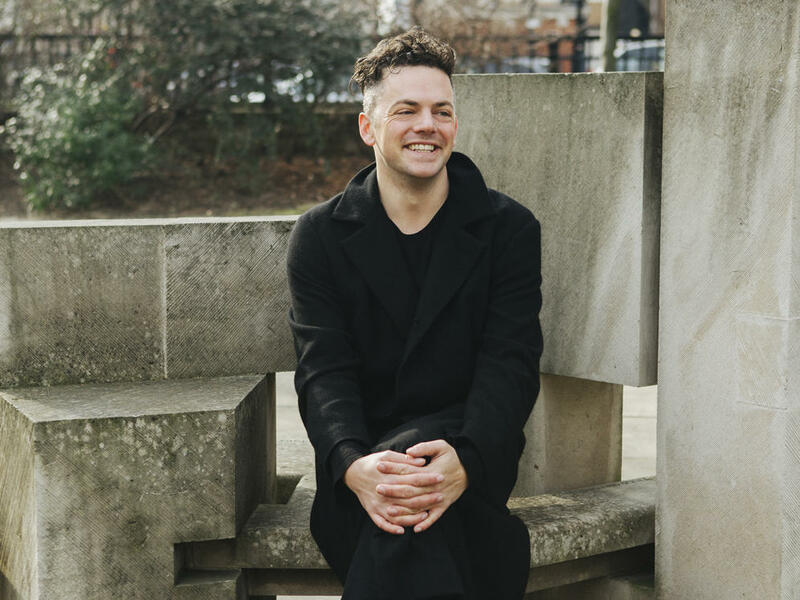 As a teenager, composer Nico Muhly listened to Philip Glass' Music in 12 Parts as his New York soundtrack. Editor's Note: On Jan. 31, Philip Glass turns 80. We're marking the event by asking a few of his collaborators to talk about him and his music. The young composer Nico Muhly was once an editor and conductor for Glass. Look for essays this week from Errol Morris, Paul Simon, Laurie Anderson and David Lang. I first heard Music In 12 Parts when I was 18 years old. I'd just moved to New York, and the whole city was musical: concerts everywhere, libraries, the giant Tower Records by Lincoln Center and another downtown! I bought the multi-disc set of Music In 12 Parts as part of an ongoing project to own as much of Philip's music as possible, but there was so much music and so little money for CDs. This felt like an extravagance, but a beautiful one. The Nonesuch recording was lovingly packaged with a Mapplethorpe portrait of the composer on its cover. I popped the first disc into my Discman (!) and started walking uptown and was shocked. I had expected rippling arpeggios, powerful machines, the unforgiving muscle of the dances from Einstein On The Beach. Like much of Philip's music from the 1970s, the basic building block is a single "cell" of music which expands and contracts rhythmically. The scaffolding of the music is clear to the casual listener. Part 1 of Music In 12 Parts, though, is somehow special. While the rest of the 11 parts are hyperkinetic and bubbly, this first part is at a relaxed speed, the pulse a luxurious stroll not much faster than one second long. It is scored for woodwinds, a solo female voice and multiple keyboards — the delicious buzz of Farfisa organs. The combination is electric and acoustic at once; it's not immediately clear what's in there — a flute, a saxophone? The insect-like timbre of the organs obscures and lightens the other instruments, a citrus-like river through the center of the sound. The voice sings solfège syllables rather than words, and while it sounds like an exercise in school, the effect is magically emotional. She begins this enormous multi-hour piece with the syllables "do, re, mi" repeated over and over, while an angular yet aquatically flexible bassline supports a latticework of organs and winds. Each little cell gradually unfolds and folds up again — it isn't a simple process of getting longer or shorter each time. Each cell invites us to explore the possibilities of the simplest musical processes: one plus one, do plus re. The result is rapturous: mathematical, organic, familiar and achingly beautiful. I think about this piece all the time in my own work, particularly that involving the voice. Is there a way to resist the singer on stage being an operatic heroine and instead allow her to be the bearer of small, simple pieces of information? In a large work of mine, Mothertongue, I ask the soprano to think about her life: What phone numbers do you know by heart, which addresses? Those become the building blocks of a huge structure of electronic and acoustic instruments (including the Farfisa organs!) that tries to access a moment in my own archive — a young man, slowly walking up Broadway, listening to Music In 12 Parts.